MOSCOW, October 10. /TASS/. 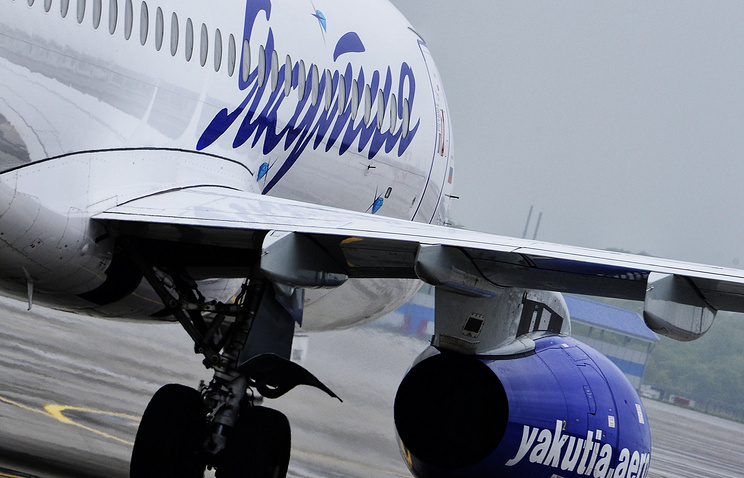 A Sukhoi Superjet 100 plane by Russia’s Yakutia air carrier skidded of a runway in the airport of the eastern Siberian city of Yakutsk on Tuesday evening, no injuries reported, Russia’s civil aviation watchdog Rosaviatsiya said in a statement. According to the statement, the incident occurred at 21:21 Moscow time. The plane en route from the East Siberian city of Ulan-Ude had 87 passengers and five crew members on board, none of them was injured. The passengers and crew had to use emergency slides to evacuate. However, the air carrier’s press service said in a statement that four people sought medical assistance at the airport’s first aid post. The region’s health authority said they received minor injuries. A child who was on board was taken to a Yakutsk hospital for a medical check. A preliminary investigation is now being conducted by airport staff and Rosaviatsiya’s local department, in cooperation with law-enforcement agencies. A source close to the Yakutia air carrier told TASS that ice on the airport’s runway is being considered as a possible cause of the mishap. "According to initial data, the runway was probably covered with ice, that’s why the plane skidded off the runway during landing," the source said. "As a result, the landing gear’s legs were damaged." The airport was temporarily closed, with all incoming flights being diverted to an alternate airport in the city of Chulman, in Republic of Yakutia’s Neryungri district. The flights resumed on Wednesday morning. According to earlier reports, arrivals of ten planes and departure of four were delayed as a result.